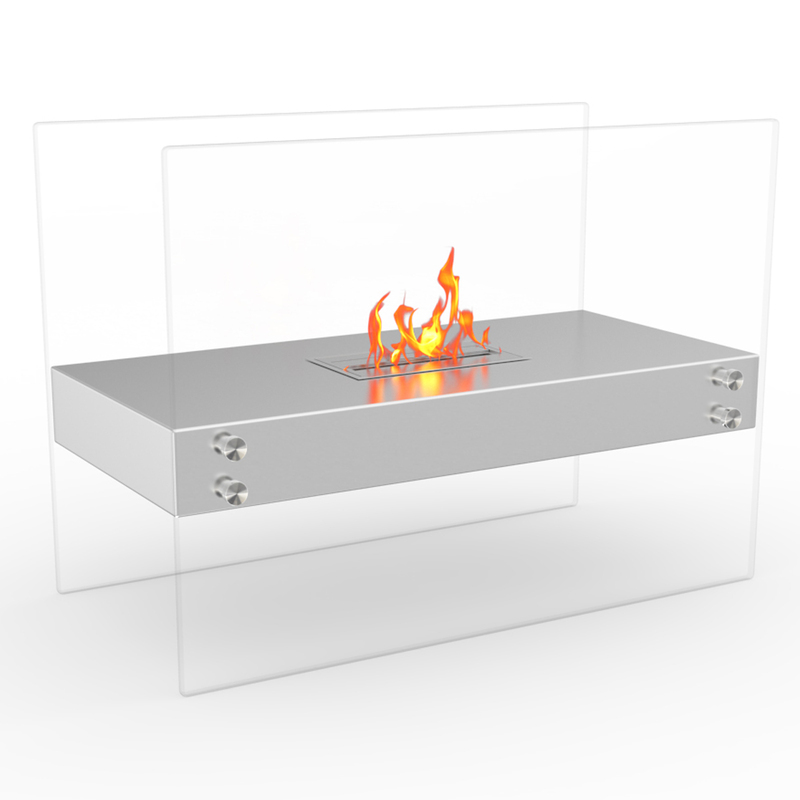 The Ionic Stainless Steel modern fireplace is comprised of a steel shelf, sitting comfortably on two vertically mounted glass walls. 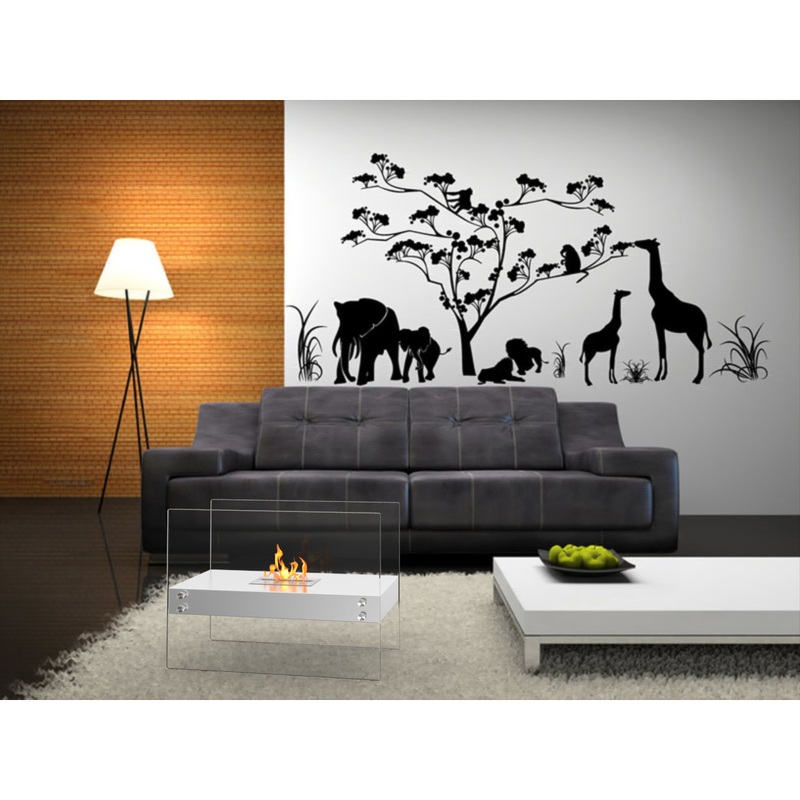 This elegant model is perfect for any indoor or outdoor setting. 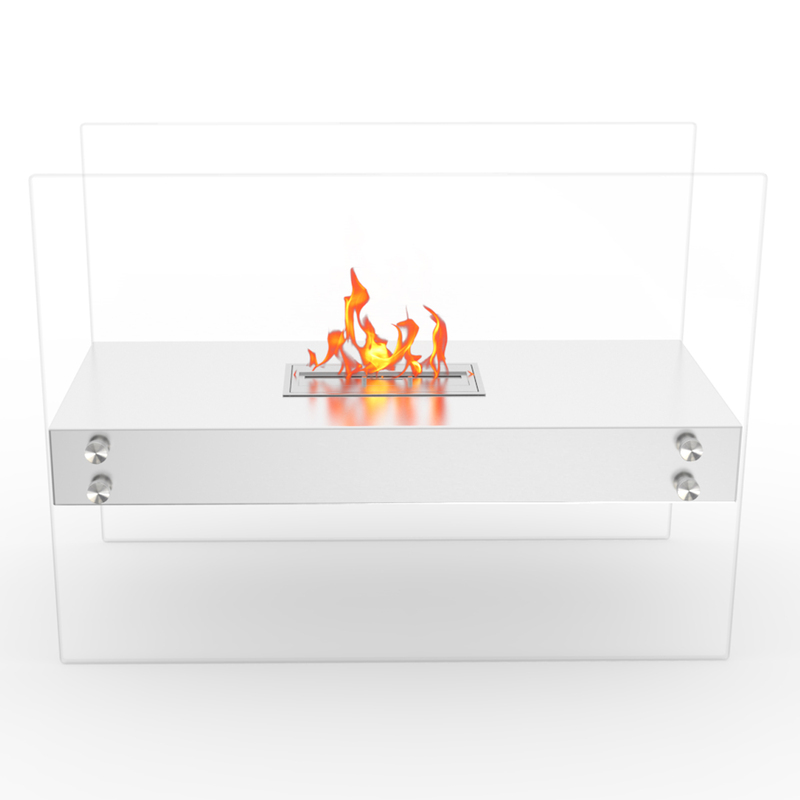 This portable firepit fireplace requires no electric, gas, chimney or gel cans. Burns Regal Flame ventless ethanol fuel. I received this unit and misplaced the closing tool to put the fire out. I called them and they shipped one free of charge in 2 days. 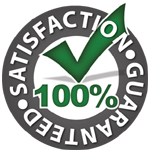 I was really pleasantly surprised with how this company stands behind their products. Looking forward to using this floor unit in my new condo. This units stainless steel and glass is so well constructed. 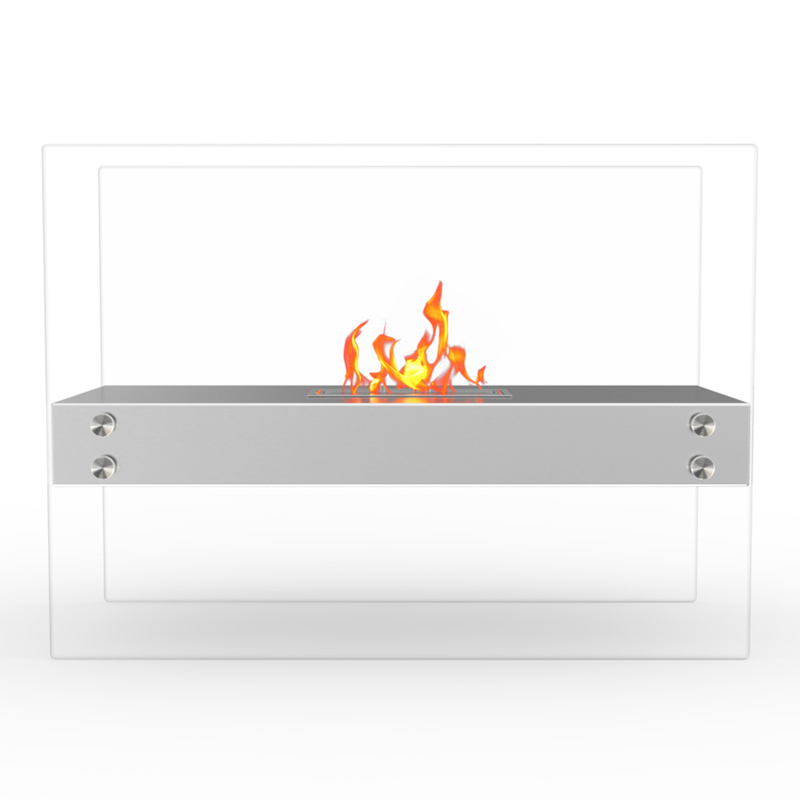 I love using this ethanol fireplace in my home when I have company. My friends and family always pay me compliments on it and are fascinated with the simple usage. This would make a great gift. Just placed this unit in our restaurant in between a double sided wall and it is the main focal point. 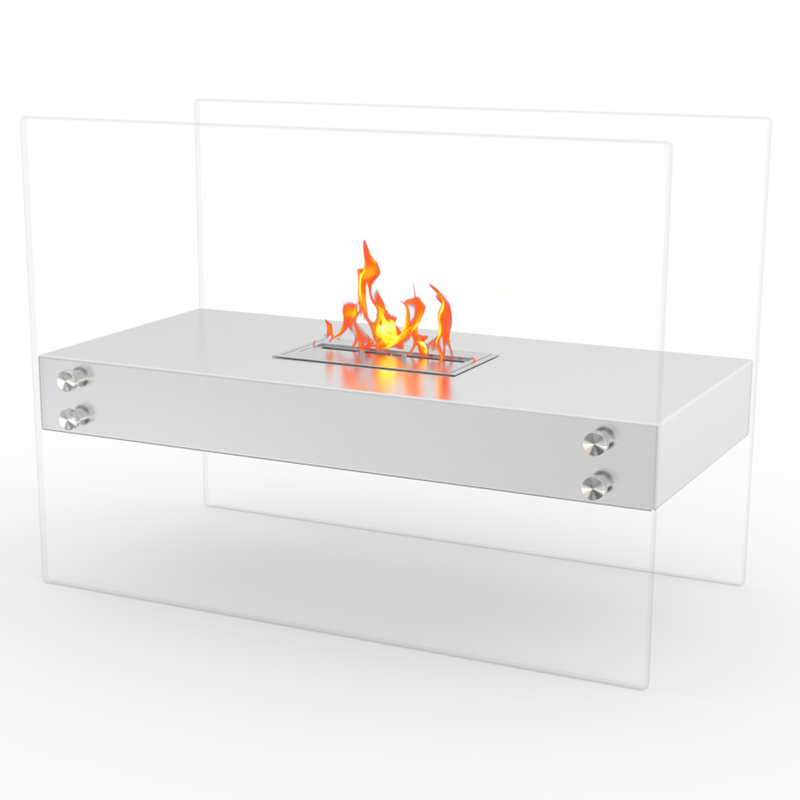 The dancing flame creates a really warm ambiance. Pouring and light is all it requires!